I’m not sure about you, but AW is where my hair goes from reasonably manageable to the frizziest, biggest fluff of a mess. It always seems to be worse down the sides of my fringe which seem to expand before my eyes as soon as I step outside of the door. So, I’ve switched up my haircare and I think I’ve cracked the secret to frizz free hair. 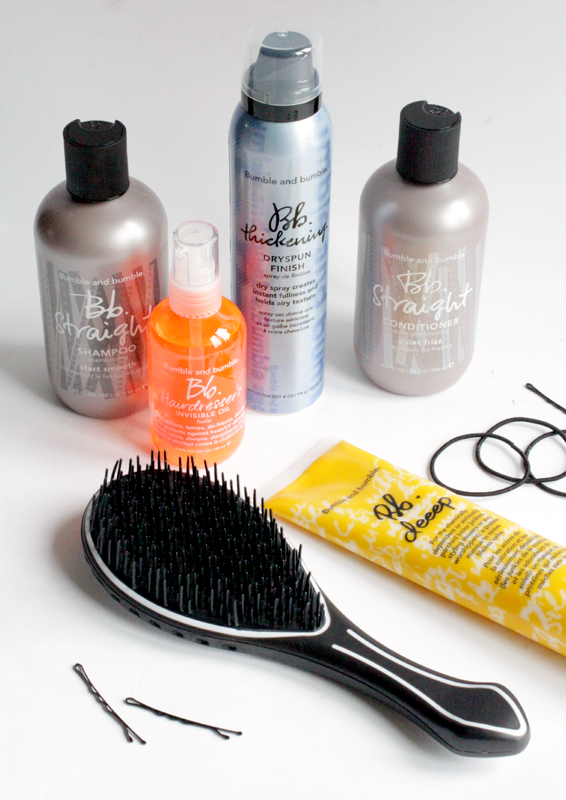 Now, as you can see, it’s very B+B based as they’re the main haircare brand that I use and trust – they haven’t let me down yet! The Bumble and Bumble Straight Shampoo and Conditioner has been my favourite choice to tame AW hair. It smoothes hair without weighing it down, making it manageable and silky soft, yet with enough body so it’s easy to style. I know I featured this product recently, but the Bumble and Bumble Deeep Treatment really does revive dry ends and windswept hair. Similarly to the above, it doesn’t make hair heavy or lank, just perfectly hydrated and smooth. After I’ve washed my hair, I apply half a drop (as my hair is quite fine) of Bumble and Bumble Hairdressers Invisible Oil to the last 1/3 of my hair to really add some moisture. I don’t often use hair oil, as they usually make my locks look like an oil slick, but this one is like my holy grail. It’s light, protects hair, tames it and keeps it in tip top condition. When I’m drying my hair, I’ve been using the Airmotion Hair Brush which has been a lifesaver. Now, I know a lot of you may just say a hairbrush is a hairbrush, but when you’ve got a sensitive scalp and a tiny knot means you want to cry, then this is ideal. It glides through hair, smoothing it and keeping all knots at bay with ease. Finally, to add volume without adding frizz from backcombing, I use the Bumble and Bumble Thickening Dryspun Finish Spray which is my favourite ever. Instead of making your hair huge in that 00’s scene kid kinda way, it makes even the finest hair feel thicker and like it’s got more life. Love. 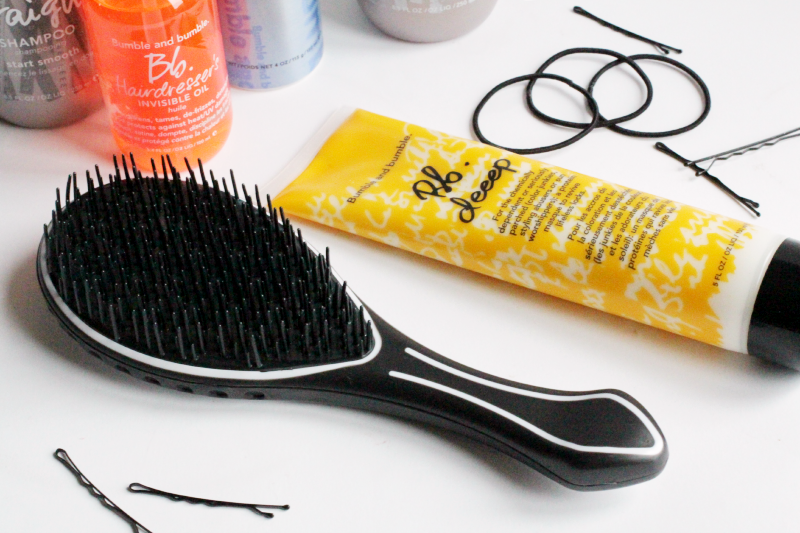 What do you use to keep frizzy hair at bay? Let me know!